A women’s skateboarding podcast, hosted by Quell Skateboarding. 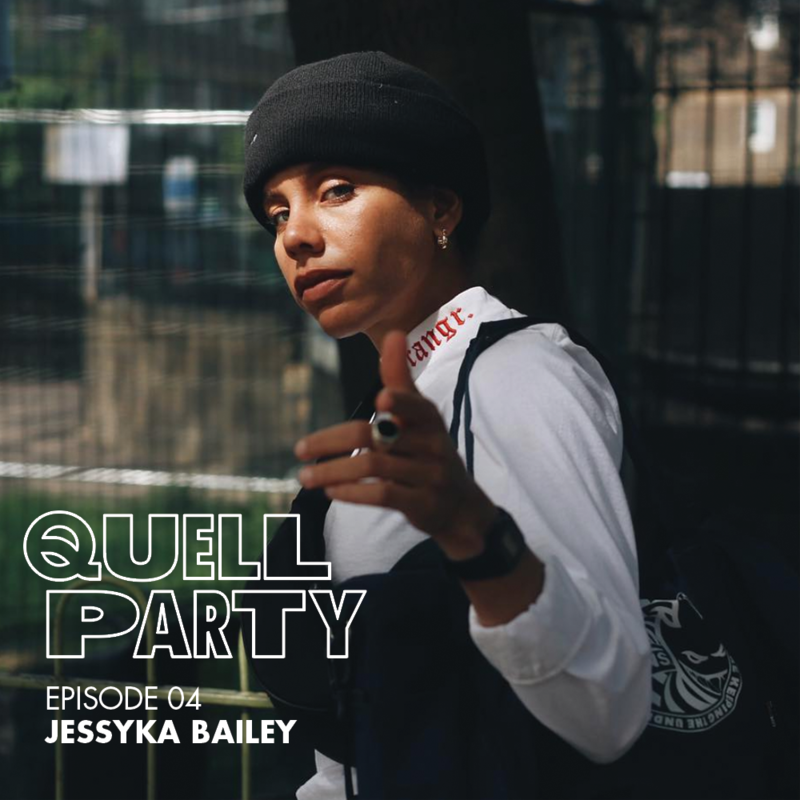 On episode 11 of Quell Party, we chat with Stevie May about freestyle skating, not taking yourself too seriously, and the queer skate community. On this week's episode of Quell Party, we talk to the lovely ladies of @sk8babes, Liv + Ang, about Hall of Meat, girls skating in Connecticut and much more. On this episode, Liv shares with us two amazing moments of skate fame. Her features on Thrasher’s Hall of Meat. 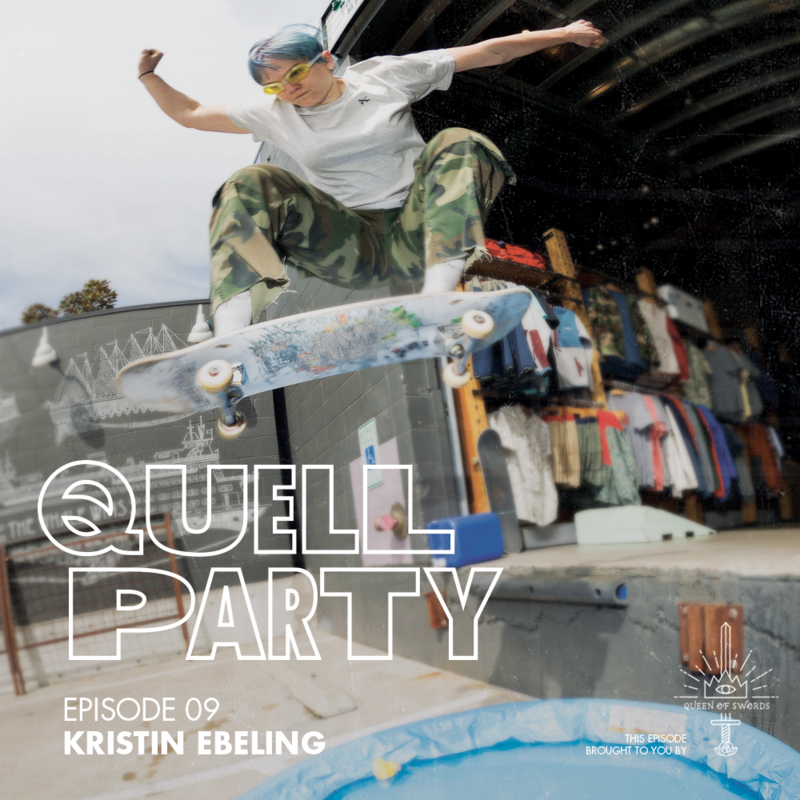 On this week's episode of Quell Party, we talk to Kristin Ebeling, Executive Director of Skate Like a Girl, founder of the Wheels of Fortune Weekend, and co-founder of The Skate Witches Zine on why it’s fun to have lots of hobbies, how to maintain a positive attitude, and so much more. Welcome back to Quell Party. On this episode, we talk sit down with the legend Jaime Reyes, and guest of a guest Alex Corporan, to talk all things about Jaime’s skate career and comeback. On this week's episode we talk lots of skate events and some major milestones as we end our first podcast season. We have an open conversation with Sydney Tomer about her photography and illustration, and get into her experience with credit carding, alcohol and mental health. On this episode of Quell Party, a surprise guest joins us! We interview Jessyka Bailey on her clothing line, moving to New York and the people who inspire her. 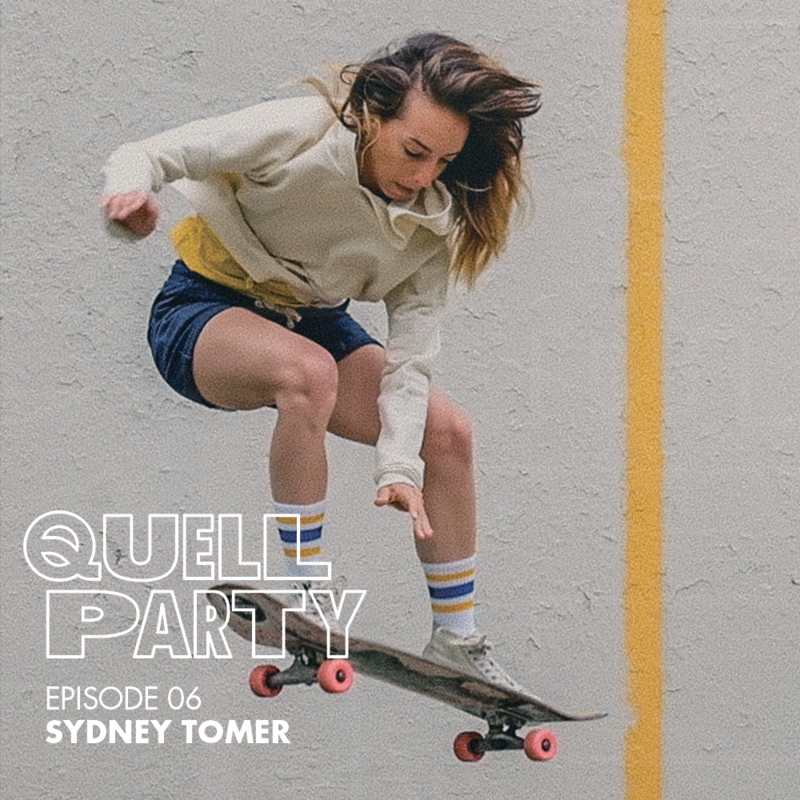 On today's episode of Quell Party we brave the heat to talk about the Skate Kitchen Movie, ollies, learn a bit about Laura Thornhill-Caswell and sit down with the ever rad Sierra Prescott. 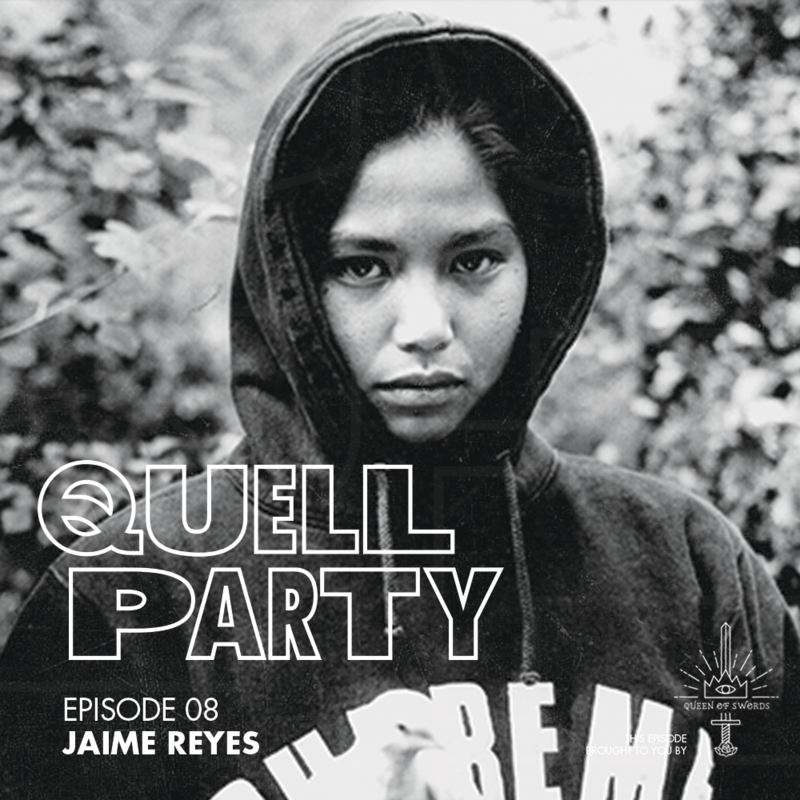 On this episode of Quell Party, we talk about community, the start of summer and Rookie Skateboards. Later, We sit down for an incredible conversation with Amy Ellington owner of KCDC and photographer, Lindsey Byrnes. We talk about our first birthday, breaking ankles, Elissa Steamer and sit down with our friends, Brooklyn skate crew, Late Skate.